Due to circumstances beyond our control the U13 Girls Development Squad Assessment has been postponed until Sunday 3rd February. An email has been sent to all players registered for the assessment, but we would be grateful if the message could be passed on to ensure that all players are aware. 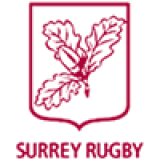 We are sorry for any inconvenience this causes, please contact Jo on jo@surreyrugby.co.uk if you have any queries.